This week, news emerged of nine arrests in South Africa in what appears to be a bust of an international criminal operation trafficking the parts of tigers and lions. 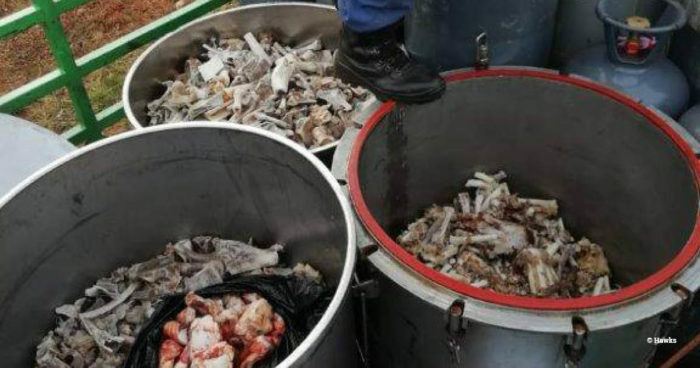 A tiger skin, tiger bones, lion bones and lion meat were among the items seized in a raid in North West province and four Vietnamese nationals were among those arrested. Vietnam, along with China, is one of the main consumers of tiger products, especially tiger bone, which is boiled down into a substance known as tiger bone ‘glue’, as well as teeth and claws which are used in jewellery and amulets. This is not the first time South Africa has been implicated in illegal tiger trade. Seven tiger skins were seized in Gauteng in May 2017, while in February 2015 a tiger skin and 7.7kg of tiger bone was seized from the luggage of a passenger arriving at Kunming Airport, China from Johannesburg. ‘Canned’ hunting of tigers is known to have occurred in a facility in South Africa which is owned by Vietnamese wildlife trader Chu Đăng Khoa and it has been alleged that tiger bones have been illegally exported from the same facility. While tigers are not native to South Africa, the country has emerged as a centre for tiger farming and trade, in contravention of a key Convention on International Trade in Endangered Species (CITES) decision, due to a combination of inadequate legislation and weak enforcement of policies allowing the legal export of lion parts which can mask the trade in tiger parts. Regulation and oversight of facilities keeping tigers in captivity in South Africa is poor and inconsistent between provinces and breeding tigers for commercial purposes is not prohibited. In 2015, 280 tigers were estimated to be kept in at least 44 facilities in South Africa, while South African NGOs this year identified at least 60 facilities with tigers. In the absence of any Government oversight of tigers in captivity, the true number could be higher. As well as failing to control commercial breeding of tigers, South African legislation allows domestic trade in parts and derivatives sourced from captive tigers. In both of these aspects, South Africa is not in compliance with CITES Decisions and Resolutions on the trade and breeding of tigers. 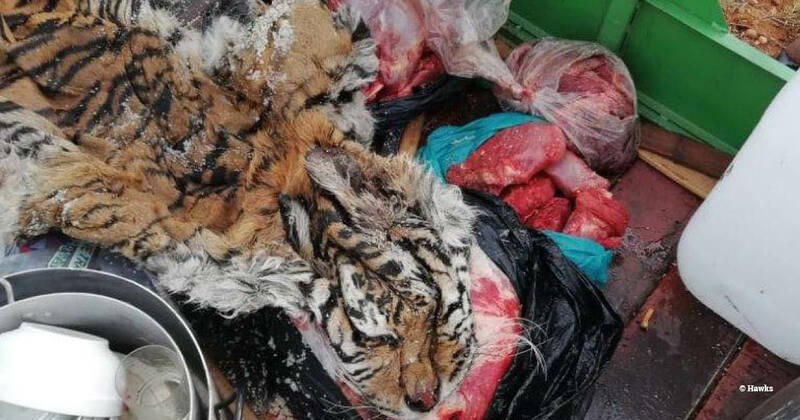 Trade in captive-bred tiger parts seriously threatens the survival of wild tigers by stimulating demand for tiger parts, complicating law enforcement and undermining demand reduction efforts. Demand for tiger products is also driving illegal trade in other big cat species, which are sold to consumers as tiger in countries such as China and Vietnam. 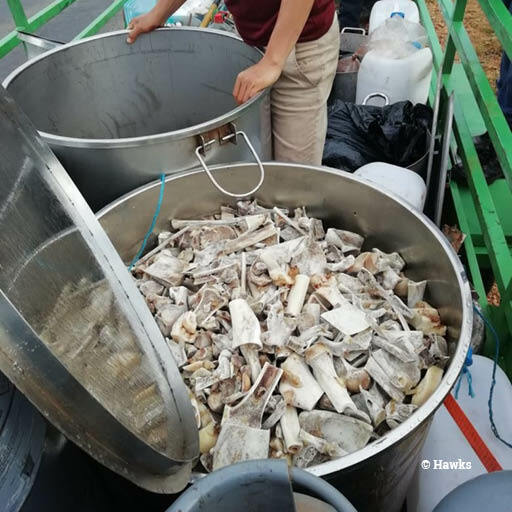 South Africa’s legal exports of captive-bred lion bones are exacerbating the illegal tiger trade, both by providing unscrupulous breeders and exporters with a simple way to launder tiger parts for export and by stimulating demand in key consumer countries where lion parts are sold to consumers as tiger. In our reports and briefings for CITES meetings, we and other NGOS have been calling for South Africa to be recognised as a key country of concern with regard to tiger farming. At the 70th CITES Standing Committee meeting in October 2018, the CITES Secretariat confirmed that South Africa is a country in which there are facilities of concern. The Secretariat is expected to conduct missions to South Africa and other tiger farming countries of concern (China, the Czech Republic, Laos, Thailand, the USA and Vietnam) and formulate specific recommendations to end tiger farming and tiger trade, to be presented to the CITES Standing Committee in May 2019. We urge the South African Government to introduce legislative amendments to give tigers the highest levels of protection, to outlaw commercial breeding of tigers and to prohibit all trade, domestic and international, in all their parts and products.